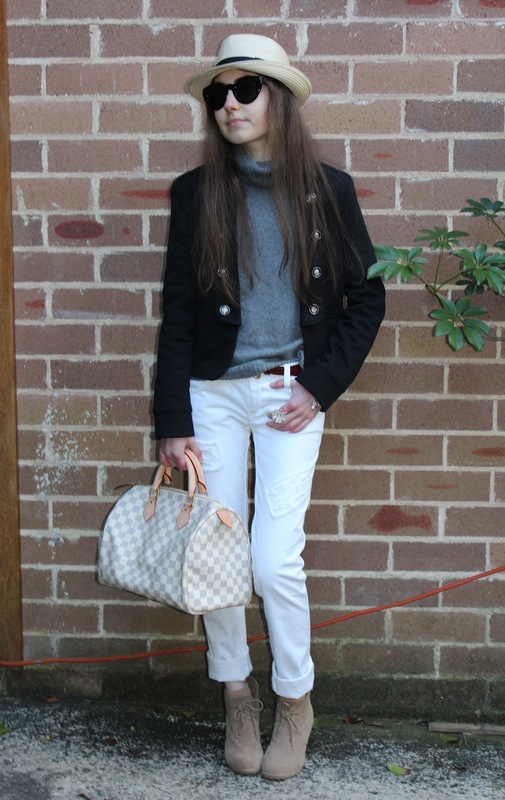 I have been on the hunt for the perfect pair of affordable white jeans for quite some time now and despite multiple trips to designer factory outlets and the occasional trip to the city, who would have thought that perfect pair would be waiting for me in a small suburb's boutique? You can discover the most enchanting and rare finds in your local chain stores that you might never have thought to explore. If it's unique pieces that your after or new designers that your looking to uncover, I highly recommend you check out all the small boutiques you know. The Zara knitwear is also new and offers a surprising amount of warmth in the cooler seasons. The jacket I actually considered getting rid of at some point but luckily my instincts told me to hold onto it for just a while longer. What completed the outfit and gave it the "hip" look that I was going for was the fedora hat, a must have item of mine. 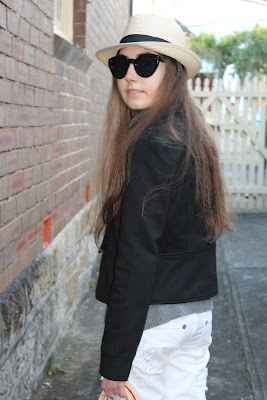 It just takes one basic fedora hat to reinvent a closet-full of clothes, no matter what the season!